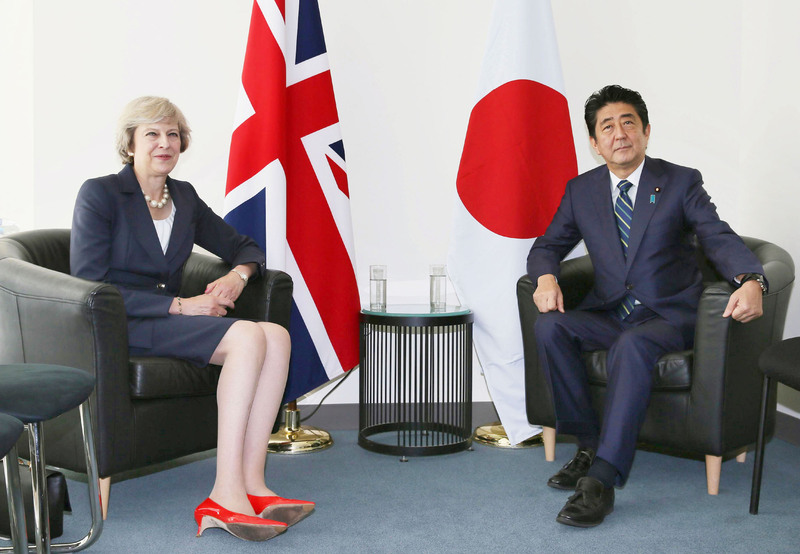 Theresa May is in Japan today. Accompanied by a delegation of business executives, Britain’s leader is determined to show her hosts that trading with Britain will remain worthwhile after Brexit. Japanese companies have investments in Britain to protect, such as $52 billion worth in Nissan and Hitachi. Unsurprisingly, Japanese businesses would prefer the UK to remain in the customs union, as trade barriers would increase the cost of exporting goods to the continent. To ease these concerns, Ms May is plugging a future free trade deal between the two countries. But Japanese firms will watch the London-Brussels talks closely, as they will partly determine how much the costs to British business—and those based in the UK—will increase in the years to come. In spite of remaining uncertainties, May’s visit is an opportunity — before any official trade talks can begin in 2019 — to lay the foundations for creating an investment climate advantageous for foreign businesses. If she can emerge successful, this could later facilitate trade negotiations with other countries.